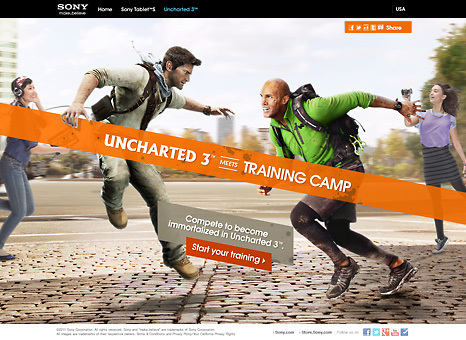 The release of Uncharted 3 had gaming fans on the edge of their seats and Sony wanted to leverage this big launch to push their brand message to that captive audience. 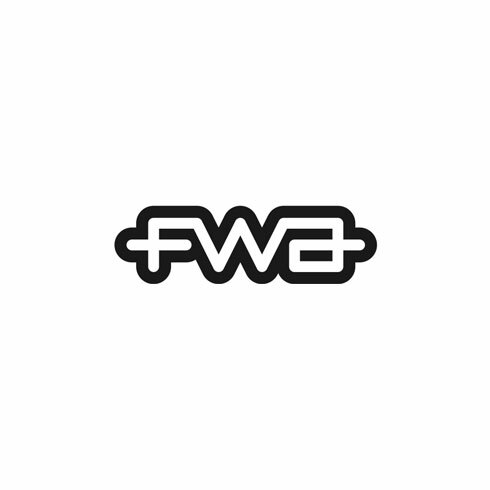 We needed to turn "anything you can imagine, you can make real" into something gamers truly connected with. An online training camp was created to turn fans into adventure heroes and let them actually become a part of their favorite game. Users competed across three Uncharted-themed challenges to earn a spot in a multiplayer tournament and a chance for the ultimate prize—a trip to Naughty Dog Studios to help create a new multiplayer character. 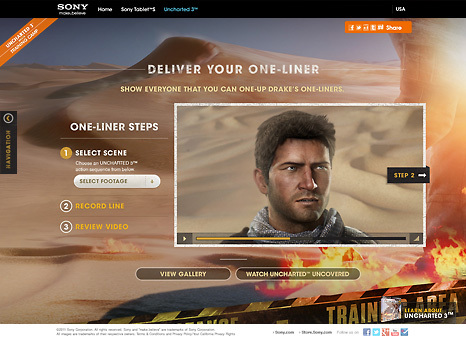 The first challenge, "One-Liner," used webcam technology to put fans into the role of the game’s lead fast-talker, Nathan Drake. Users chose an action sequence and recorded Drake’s would-be response; the videos were then composited to create an entirely new scene. The second challenge, “Taunts,” tasked fans with creating their own unique multiplayer taunt. Fans showed off their creativity by uploading videos to a dedicated YouTube page. 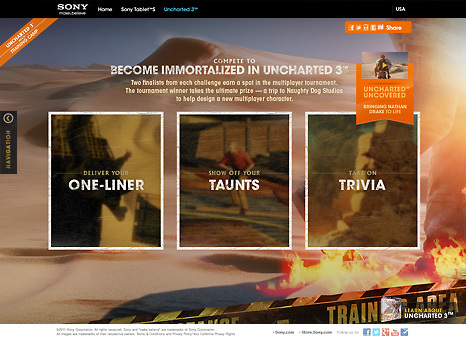 For the final challenge, “Trivia,” fans put their Uncharted knowledge to the test in a race against the clock. Uncharted fans were already immersed in the game’s world, but this took things to a new level by allowing them to inhabit the characters like never before. The fan that emerged triumphant lived out his make.believe dream by becoming a part of Uncharted history.